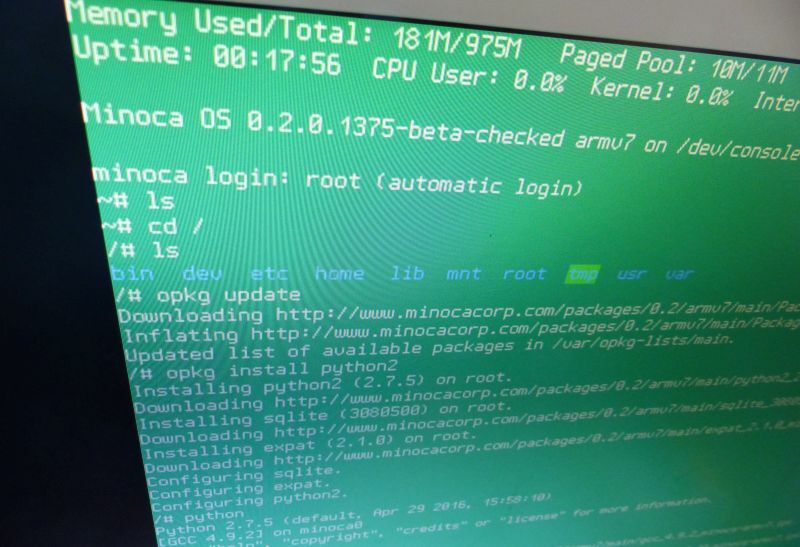 Minoca OS is a new and open source operating system that targets x86 and ARM architectures: x86 PC, Raspberry Pi 2 and Raspberry Pi 1, BeagleBone Black / PandaBoard (Texas Instruments), Galileo (Intel) and ASUS C201 (a chromebook). 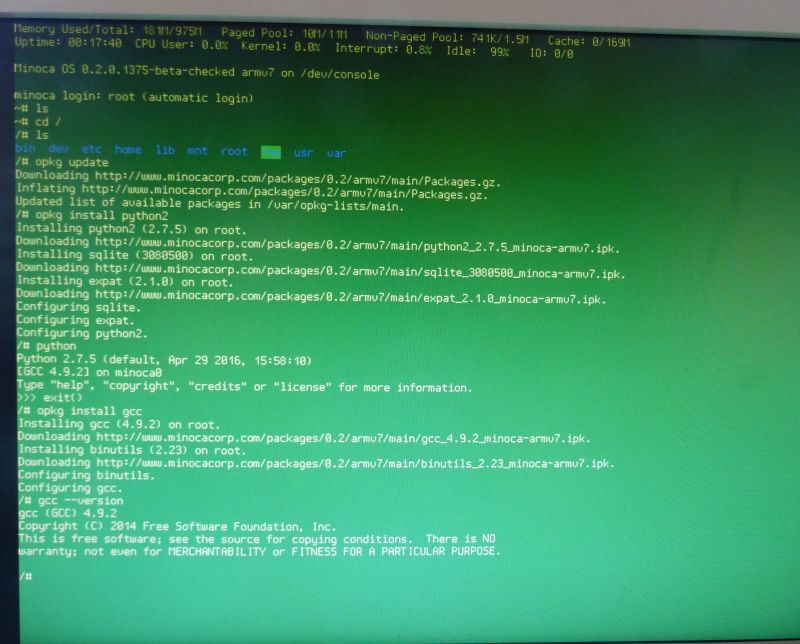 Minoca OS is a general purpose operating system written from scratch. It aims to be lean, maintainable, modular, and compatible with existing software. It features a POSIX-like interface towards application software, and a growing suite of popular packages already built and ready to go. On the backend, it contains a powerful driver model between device drivers and the kernel. The driver model enables drivers to be written in a forward compatible manner, so that kernel level components can be upgraded without necessarily requiring a recompilation of all device drivers. Minoca OS is event driven, preemptible, SMP ready, and network capable. It currently runs on x86 PCs and a range of ARM boards. 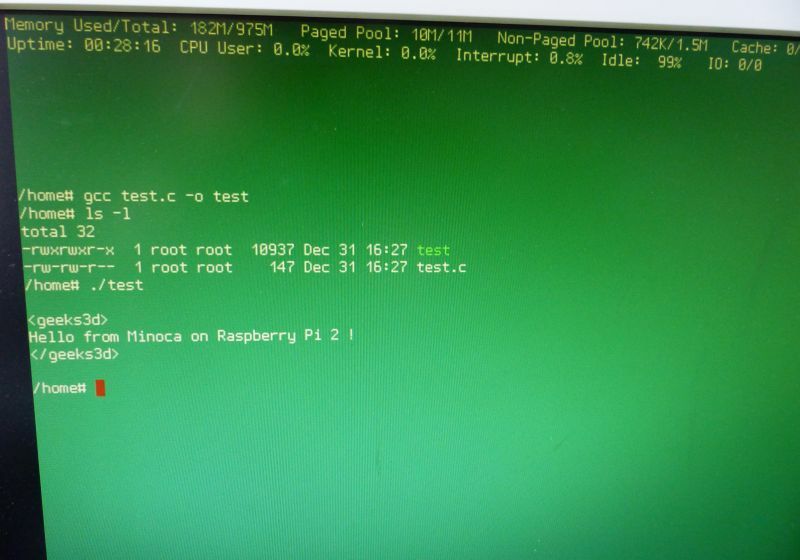 Minoca OS is a general purpose operating system and has been written from scratch almost entirely in C, with some assembly language when required. The Minoca kernel is written almost entirely in C, with snippets of assembly used only sparingly. The kernel itself is monolithic in style, but is built by combining several system libraries that each observe a well-defined API. 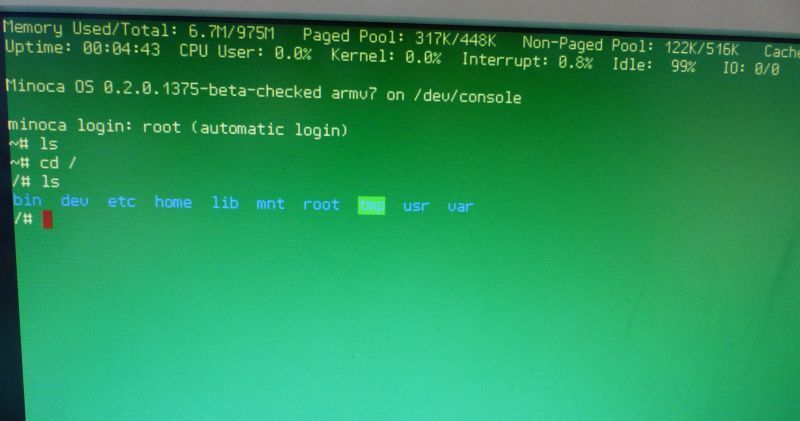 Though Minoca OS supports POSIX applications and therefore many Unix-style constructs, the kernel was written entirely from scratch and contains no code from Unix, Linux, or any other *nix variant. Nice project. I hope the team (two developers) will find some enthusiasts to help them in the road of OS programming. And who knows, it’s maybe the dawn of the next Linux.